The blog theme for next month will be Heart Health (February is Heart Health Month) and Sexual Health (because in February we have Valentines Day). These two topics surely will be quite interesting to write about. Both are certainly important for a good “quality of life”. But before we get there I still want to write two blogs on weight management and the health benefits of having an optimal body mass index. Speaking of body mass index, this is a number that tells us if a person has a good body weight or if he or she is underweight or overweight. It is calculated by dividing body weight in kilograms by the square of body height in meters. For example if a person is 186cm in height the square of this is 1.86 m times 1.86 m which is equal to 3.4596. If the person weighs 85 kg we divide 85 kg by 3.4596 giving us a body mass index of 24.57. A good body mass index is considered to be between 18.5 and 25. Anything below that is underweight and anything above overweight. There is one exception to the rule, and that is that the formula does not apply precisely to individuals engaged in weight training and muscle building. Muscle building adds substantial weight which is not considered fat. Thus body builders may have a body mass index above 25 and still be considered to have an ideal body weight. In other words, the body mass index is used to measure excessive fat deposits and not additional muscle mass. However, without digressing any further, what I really wanted to talk about today is the hormone Adiponectin. Along with Leptin, which I mentioned in my previous blog this hormone is also fundamental in regulating body weight. This hormone can be increased in natural ways in order to lose excessive weight in the form of fat. Similar to Lepin this hormone is also released by fat tissue. The difference is that Adiponectin is released in larger quantities when there is less fat whereas Lepin is released when there is more. The other difference is that whereas Leptin inhibits appetite by acting on the brain, Adiponectin acts directly on tissues such as fat, liver and muscle in order to burn more fat for energy and to decrease the amount of glucose in our blood. Without comparing the two any further and potentially causing some confusion, Adiponectin causes the following health benefits. First it inhibits the production of glucose from protein. This is beneficial as less glucose in our blood is a good thing. This helps prevent diabetes and the conversion of glucose into fat. Second it increases the uptake of glucose from the blood into muscle for energy (again decreasing glucose in the blood which is something good). Most importantly however it increases a process called beta-oxidation which is the burning of fat for energy. Finally it increases the sensitivity of insulin (this preventing diabetes) and protects small arteries from clogging up with fat and cholesterol. This last property protects us from having heart attacks, strokes, and some forms of kidney insufficiency. Since Adiponectin is such a “magic bullet” how can we increase it to maintain good health and to burn fat? There are four main ways. First one is exercise. Aerobic exercise has been shown to increase Adiponectin, simple as that. The second way is to increase the consumption of healthy fats and to decrease the consumption of unhealthy ones. Health fats are (for example) olive oil, coconut oil and avocados/avocado oil. Unhealthy ones are found in fatty animal meats like beef and pork (although very lean grass fed organic beef is an exception), as well as butter, and frying oils like canola oil when used for high temperature frying. 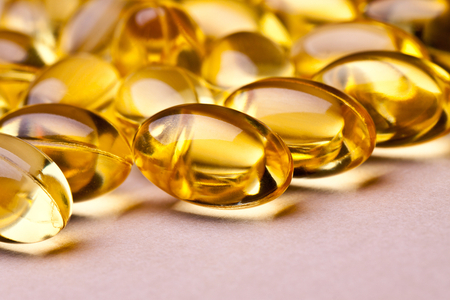 The third way to increase Adiponectin is to increase the consumption of Fish oil and Krill oil which are high in Omega 3 and Omega 6 fatty acids. Finally weight loss itself increases Adiponectin. This means that the less fat you have the more Adiponectin you will produce, which means that the leaner you are the easier it will be for you to maintain a lean body. On the other hand the more fat there is the less Adiponectin will be produced and thus less fat will be burned for energy. It’s unfortunate that Mother Nature is so cruel sometimes and doesn’t always work in our favour. But by educating yourself about how things work you can turn this around and make it work in your favour. It’s just a matter of awareness and taking a proper approach. Categories: Cardiovascular Health, Healthy Fats, Weight Management | Tags: bmi, body mass index | Permalink.